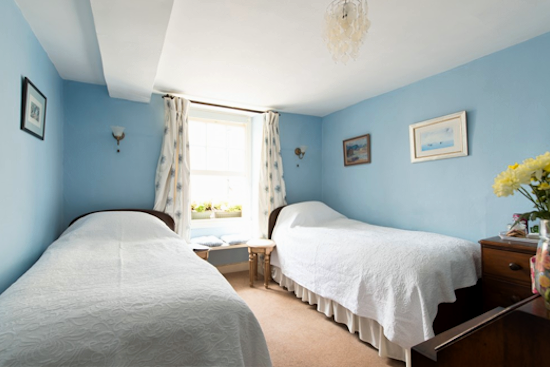 Our guest bedrooms at St Anne’s are all on the first floor, and all have tea/coffee making facilities and ensuite bathrooms with power showers. 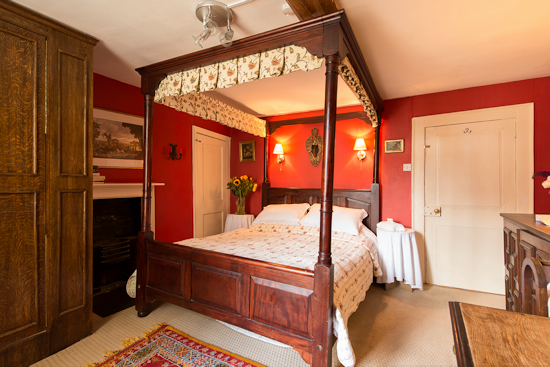 The larger double bedroom has a magnificent four poster bed and a secret small ensuite shower room. This room is offered as a family room - a travel cot is available, as well as toys and books for children. 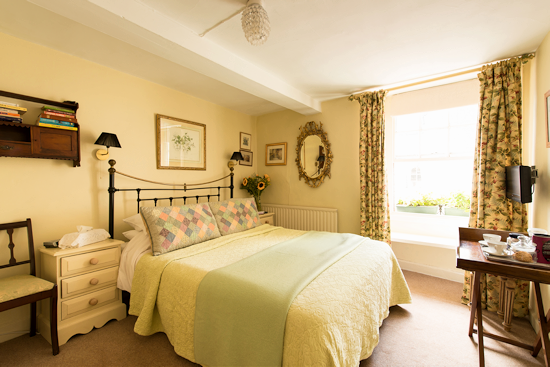 The second double bedroom is has a king size bed and ensuite bathroom with power shower. The twin-bedded room also has an ensuite shower room. 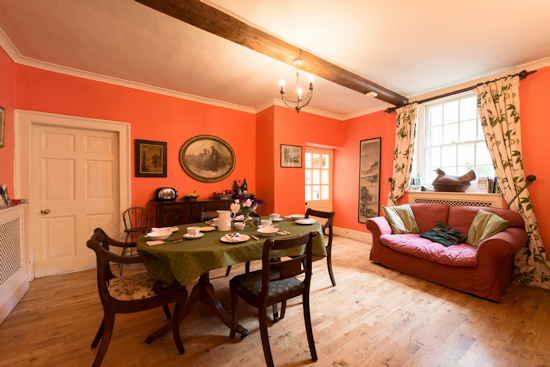 The dining room has a sofa and guests are welcome to relax in front of the fire or read the Sunday papers. Free WiFi access. We provide a large, varied, wholesome breakfast with many locally sourced, organic ingredients. Free range eggs and meat, organic dairy produce and homemade breads and jams.